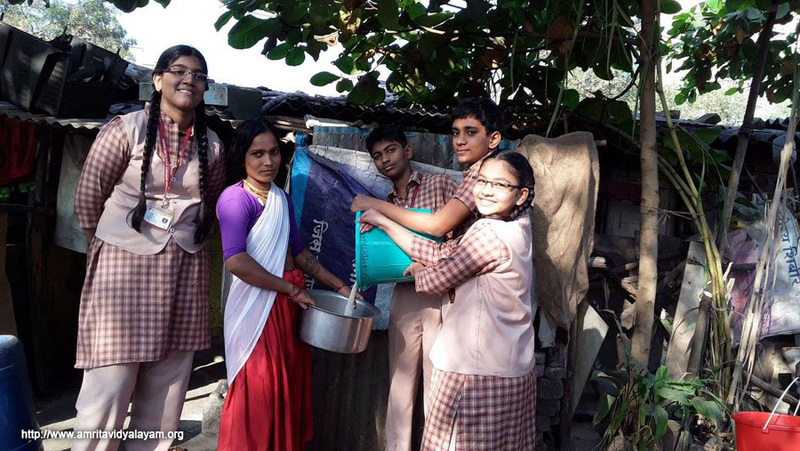 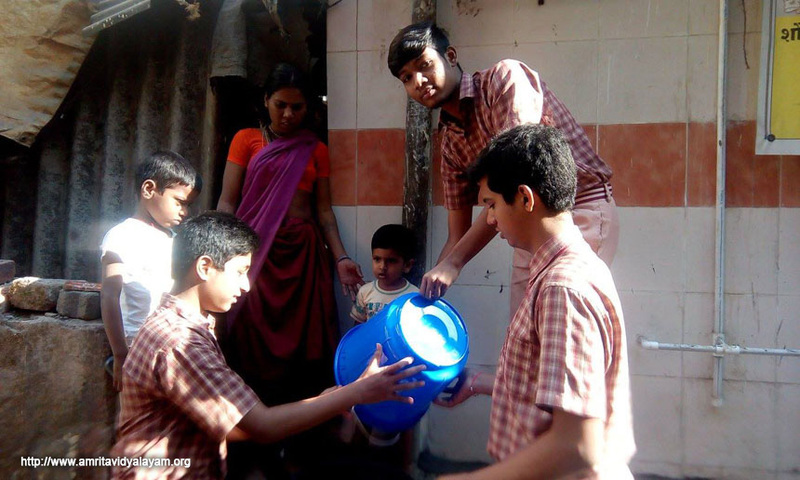 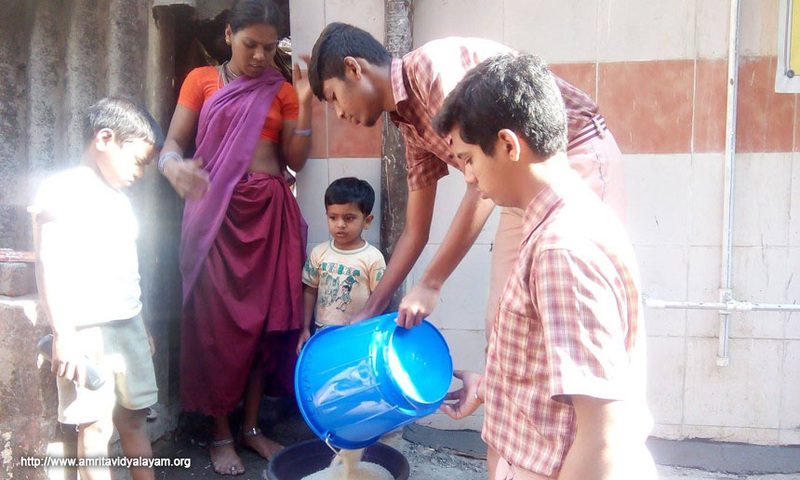 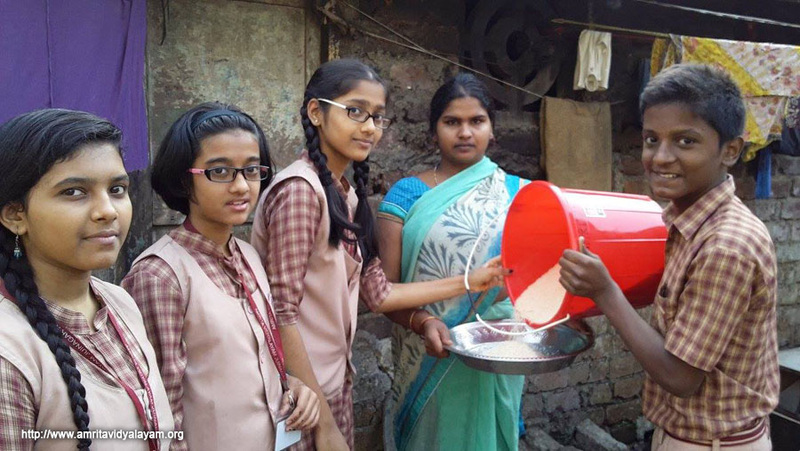 Students visited each of the 31 adopted families on November 23, 2016 to distribute the rice collected under the Sevamritam Project. 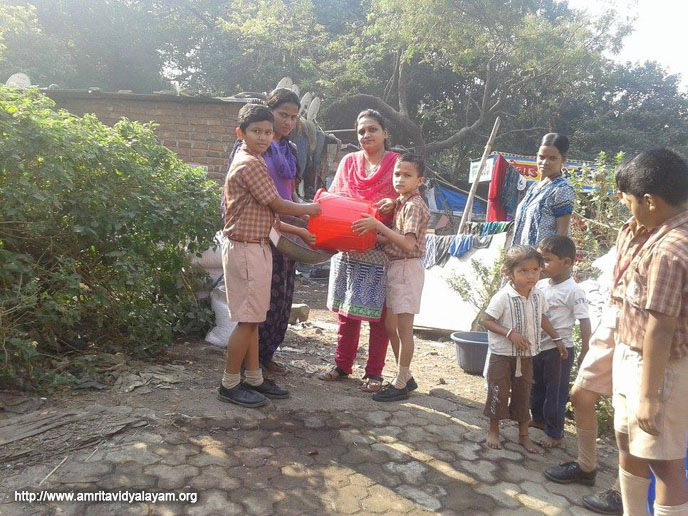 Every month, the families wait for the students to come, and it is heartening to see our eager Amrita-ites eagerly volunteering to meet the families. 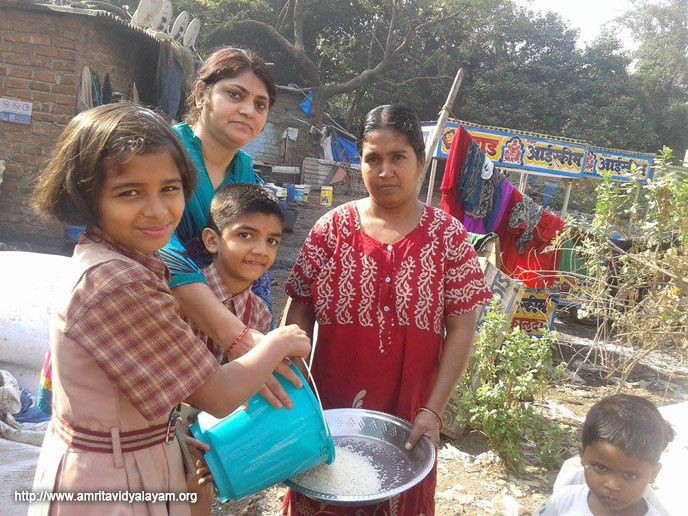 One of the families had moved out, and seeing the plight of a rag-picker’s family, our students reached out to him and gave him the rice. 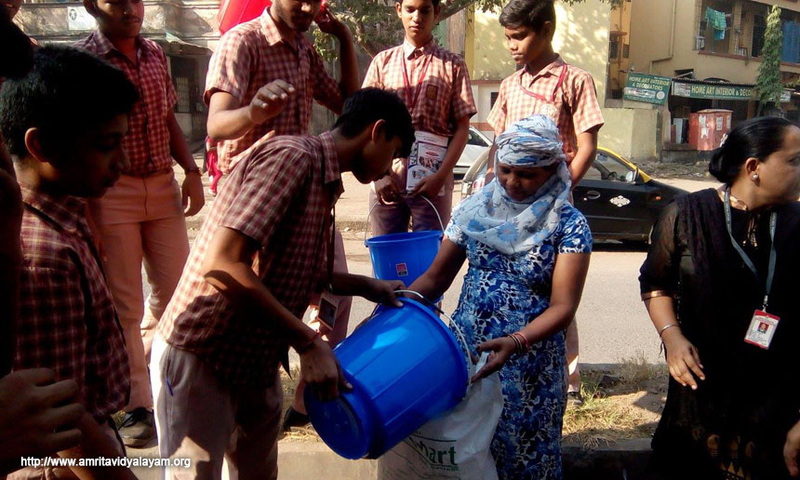 The students felt that he was so overjoyed that he just did not have words to express his gratitude for the gesture. 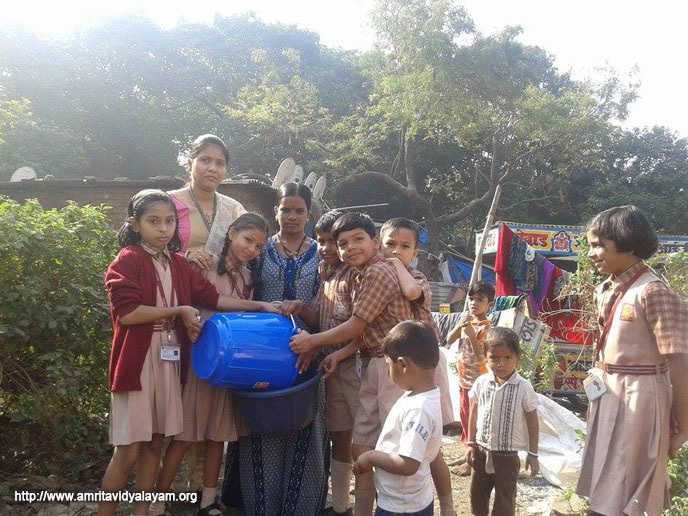 Students of IV A also donated clothes to the families.